January | 2012 | DEBtastic Reads! I first saw this book sitting on a table at a book store, perhaps months ago, or maybe just weeks ago. Time is a blur, these days. I didn’t buy it then and forgot about it – until I came across it on someone’s blog. (Yes, I’m a very bad person and can’t remember whose blog I saw it on! Sorry!) I wish I could link to that post because what the blogger said about this book made me want to read it immediately. 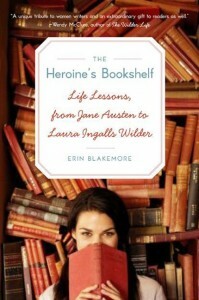 The Heroine’s Bookshelf was released by Harper on October 19, 2010. Lauded as everything from “a frothy literary latte” to “like having a friend with you on your literary journey,” the book has been featured in the New York Times, The Washington Post, Ms. Magazine, The Denver Post, and more. The Heroine’s Bookshelf won the 2010 Colorado Book Award in the Nonfiction: General Category. Oh boy! Right? I hope to get this book and read it (my To Be Read Pile is growing very very large) and share my comments in the near future. In the meantime, what female literary heroines do you have from your childhood? Authors? Characters? Judy Blume comes to my mind, as well as Madeleine L’Engle. Characters – Jo March. Meg Murry, Laura Ingalls, Kit Tyler, Elizabeth Bennet. I’m sure I’ll think of a ton more after I hit “publish”. Looking forward to hearing yours! EDITED TO ADD: Hmmmm…I should change the title of my post to “Wanted! And Received!” Hours after writing this post, I found myself at one of my favorite indie bookstores, Books Inc. Of course, they had a copy of the above book. Of course, I bought it! Can’t wait to read it! I was thrilled to learn that The Scorpio Races by Maggie Stiefvater recently won a Michael L. Printz honor (an award for excellence in literature for young adults)! Not only because it was a fantastic read, but because I was almost done reading it before the awards were announced. Hey! I was ahead of the “official” news that The Scorpio Races is an outstanding book! I purchased this book a couple of weeks ago after a friend with whom I share reading tastes raved about it to me. She was not wrong in telling me I’d love it. I did! In fact, I so loved it that I could have finished reading it days prior but I wanted to drag it out longer, I needed to be able to stay with the characters and their story for longer. I didn’t want it to end! On the island of Thisby, the Scorpio Races are held every November. And every November men die. These are not ordinary horse races on the beach. The horses are the capaill uisce, mysterious man-eating horses from the sea. Thisby men capture and train them for the race, both man and creature in danger of injury or death as the capaill uisce long to be back in the sea. Nobody knows this better than Sean Kendrick, who trains and works for the successful stable on the island. He and the beloved capaill uisce Corr have won the race four times over – and Sean wants badly to be able to own Corr. The two belong together. Puck (Kate) Connolly has never wanted anything to do with the races (having lost her parents to the capaill uisce), but when circumstances force her, she decides to break all unspoken rules and enter the race. The result is a tension-filled story, part adventure, part love, that has the reader rooting hard for Sean and Puck. Outstanding page turner that made me both laugh out loud and cry! I’m curious, how do you pick the books you read? I’m sure it’s a variety of reasons, but what’s the first thing get gets your attention? The cover? The author? The title? A review in Kirkus? Do you purposely check certain blogs to see what’s getting a buzz? Or do you come by new titles randomly? Do you make regular trips to the bookstore to see what’s new? Or do you wait till you have coffee with a favorite pal to hear what she recommends? For me it’s one or two or all of the above, except for reviews. In fact, I try to avoid reviews all together. Why? Because unless the reviewer is someone with whom I share reading tastes, it doesn’t really matter to me what he/she thinks. Worse, I hate when I read a review and get a spoiler (as what happened with a recent review in the NYT). I like to know as little as possible before deciding to read a book. Part of it, for me, is the element of delightful surprise when I fall in love with a character and his/her story. I can’t get that from a summary. But then, again, I DO need to know something about it to pick it up. I prefer contemporary fiction and sci-fi/fantasy (but not necessarily vampires/werewolves/zombies). I’ve even grown a little tired of dystopia. Let’s take a look at some of my recent yet unread book purchases and break down what caught my attention. 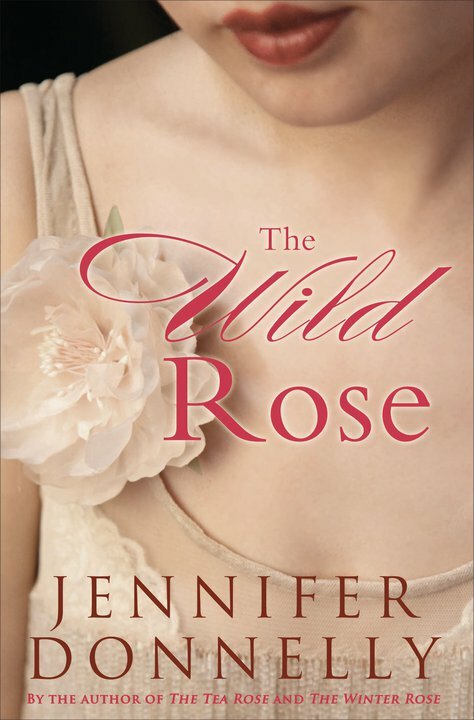 The Wild Rose by Jennifer Donnelly: This one is easy. It’s book 3 in Donnelly’s “Rose” series of adult historical fiction. I thoroughly enjoyed the first two so it was easy to buy the third. What got me to buy the first in the series? I saw The Tea Rose face out on a shelf at the bookstore and the cover caught my eye. When I saw it was by Jennifer Donnelly (I really loved her YA novel A Northern Light), I filed it away in my head for something I might want to buy later. Then my teen daughter’s best friend raved about the series, so that clinched it. I bought the first book. 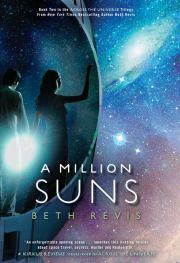 A Million Suns by Beth Revis: Another easy one – I read the first in the series, Across the Universe, and knew as I closed that book that I just had to read the next book. What got me to buy the first one? I think it was blog buzz. Many of the blogs I read were raving about it and I kept seeing it at the bookstores. I did read the inside flap (not all of it, just enough to give me an idea of what it was about), and bought it. Chronal Engine by Greg Leitich Smith: I’m a fan of Greg’s. I loved his previous MG books, particularly Ninjas, Piranhas, and Galileo. Greg has a great knack for combining humor and science into a thoroughly entertaining story. For this reason, I’m excited to have an ARC of his newest (coming out in March, I believe)! Time travel and dinosaurs? I’m on it! 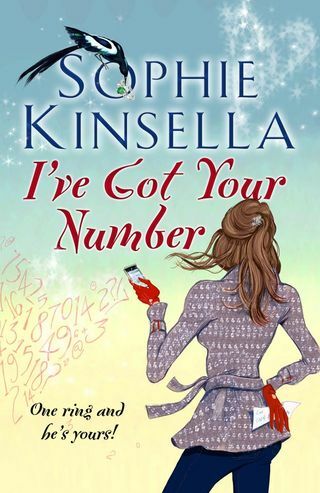 I’ve Got Your Number by Sophie Kinsella: I admit it. I have a soft spot for Sophie Kinsella’s adult romance/fiction. She saved me while I was living in Shanghai. 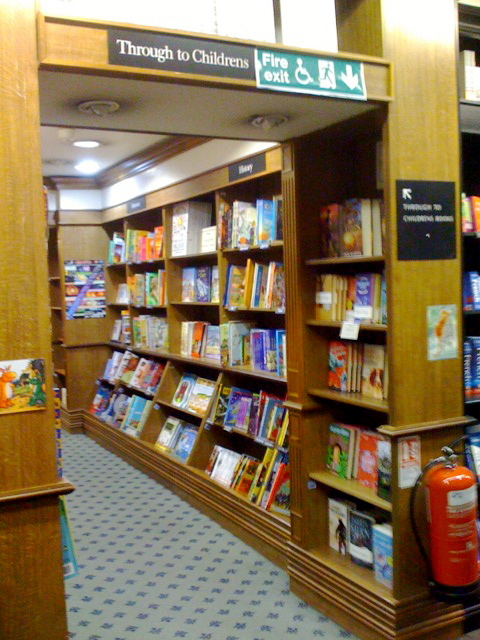 There were few opportunities to buy Western books there and even fewer choices. It was in Shanghai that I got hooked on Sophie Kinsella’s Shopaholic series and devoured every one of her books I could get my hands on there. (On my trips home to the States, I’d always bring an empty suitcase to fill with books and other supplies – like toothpaste!) When I saw that she had a new novel coming out, I didn’t even need to know what it was about. I pre-ordered it. I’m faithful to my favorite authors. So there you have it. The books that I have most recently purchased, haven’t yet read, but am greatly anticipating! I suspect I’ll buy more before I get through reading those. On a side note, congratulations to the winners of the ALA awards! For a complete list of the winners: http://ala.org/news/pr?id=9108! And for a fun, fabulous post about the award winners, check out Jama Rattigan’s Alphabet Soup blog! Last week, my very good friend Lynn and I went on Reading Retreat number 2. It was even better than the first one (mostly because this time we didn’t hit traffic and made it to the house in 2 hours instead of the 3 it took the first time). 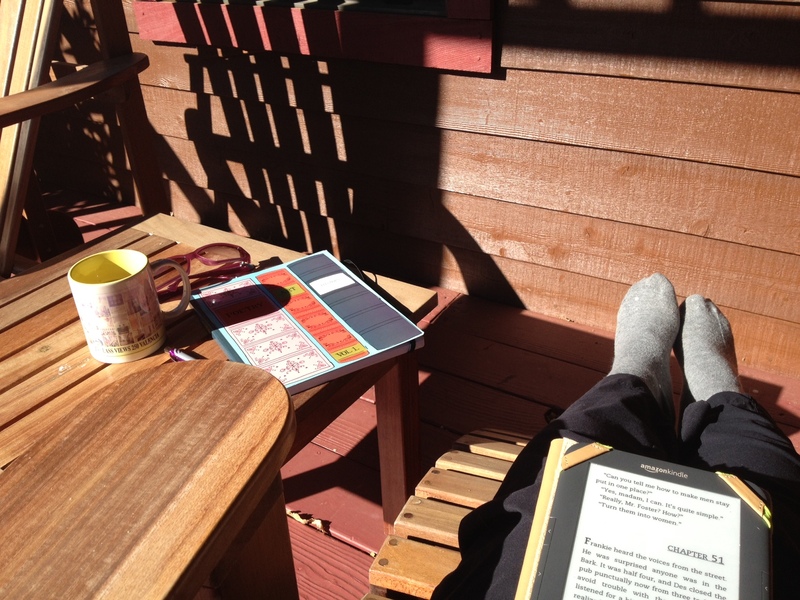 What is a reading retreat? It’s a day of reading! Doesn’t that sound glorious? It’s not that I need a special day put aside for reading to read, it’s just that doing this makes reading all the more special! 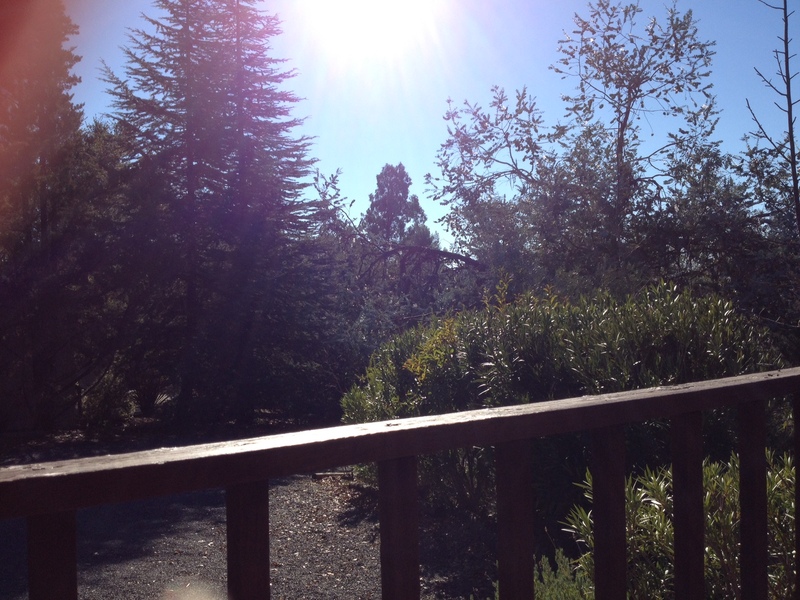 You don’t have to go away to have a successful reading retreat, but it’s a nice bonus. Being out of the house means being free of any distractions, like the laundry that beckons or the computer that dings with new email.I’m grateful to my friend Lisa and her family for generously allowing us to use their vacation home to do this. We arrived at the house a little before 11 AM and the first thing we did was have lunch. I’d brought the caldo verde (Portuguese potato and kale soup) that I’d made the previous day, along with Bob’s freshly baked bread. Lynn brought fabulous snacks from Trader Joe’s, including the best apples I’ve ever tasted – Cripp’s Pink! After a hearty lunch, we kept the tea kettle singing for constant refills of tea, and settled in for five wonderful hours of reading. We both sat on the sun-drenched porch, but kept to our rule of no talking. I got lost in my reading. I brought my Kindle and a few other books. I mostly read Jennifer Donnelly’s The Winter Rose (adult historical fiction). I also journaled, read from the two nonfiction books I brought, and a sampling of Mary Oliver poetry. Bliss! I also took time to appreciate the view. The silence was intermittently punctuated by the occasional bird call or car crunching over gravel in the distance. At one point I could have sworn I heard moo-ing. A curious hummingbird visited us several times over the course of the afternoon. It wasn’t until the sun started creeping down that we noticed the chill in the air. It was time to pack it up. We ended the day by stopping for dinner at a fabulous restaurant – Daviola. Amazingly fresh fare and house-cured sausages made for a delicious Italian meal. And probably the best crunchy breadsticks I’ve had in my life (they had a slight kick). The tagliatelle with pork cheek ragu was my favorite and I’d go back and have that again! We hope to do another reading retreat in the spring! If you end up having a retreat of your own, I’d love to hear about it! Happy reading! Welcome back to a sporadic feature where I talk about favorite authors of mine. Back in November, I highlighted Maureen Johnson. Today I’d like to shout out to the world how much I adore Ellen Emerson White and her President’s Daughter series! She is the author of numerous books and I intend to check out her other series in the future, but for now, I can’t get enough of her President’s Daughter series. There are four books and I reread all four every other year. That’s how much I love these books! I have Jenn Laughran (aka Literaticat) to thank for my love of this series. Before she became a super star agent for Andrea Brown, she was a super star book seller for Books Inc. Every time I saw her, I ended up buying a slew of books on her recommendations. I miss that! 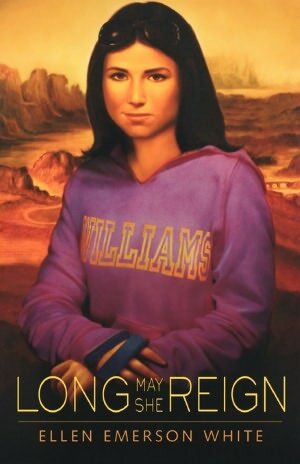 One of the books she recommended (raved about) was Long May She Reign by Ellen Emerson White. It was the long awaited sequel to three previously released books in the series. Those three books would be re-released again but were not yet available. I’m usually a stickler for reading in chronological order, but Jenn was so effusive with praise and obvious love for these books that I was willing to break my own rule this once, and I read that last book, first. And fell instantly in love. When the first three books were available, I snatched them up and gobbled them down! And since then, I’ve reread the entire series twice and plan to reread them again this year. It’s time! What makes this series so wonderful? One thing most of all: Meg Powers. Meg Powers is the main character of the series, the head-strong, whip-smart, sometimes scared and insecure, and always strong teen daughter of the President of the United States – who happens to be her mom. I’ve always said I’d read a favorite character doing just about anything, even 40 pages of her brushing her teeth, but Meg’s story is much more exciting, much more heart-wrenching, much more inspiring than that! High school sophomore Meg Powers is a little appalled when her mother announces her intent to run for President. Meg is more appalled when her mother actually wins. The story focuses on Meg’s relationship with her mother, and the fact that they are so often at odds with each other. With her mother’s new position, Meg is feeling a bit abandoned. 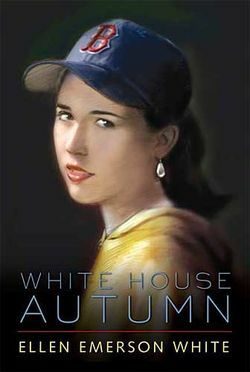 The characters are lushly developed as the reader follows the family’s move into the White House and Meg’s struggle to fit in at her new school. A possible love interest in new friend Josh adds an extra dimension to Meg’s too-changed life from before she was the President’s daughter. 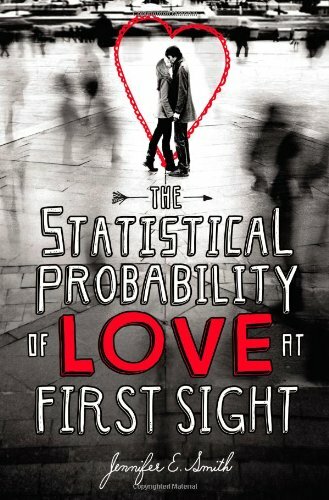 In book 2, Meg is 17 years old, a senior in high school and dating Josh. After ten months in the White House, she has somewhat gotten used to life as First Daughter, while still resenting the time she doesn’t get to spend with her mother. Meg is temperamental at times and on a day after fighting with her mother at breakfast, she learns at school that her mother has been shot and is in serious condition at the hospital. The President is determined to get back to work as quickly as possible, even before healing completely, which upsets the entire First Family. Meg is angry and takes it out on Josh, but more importantly, she starts to learn that she must sometimes open up and trust others. In this book, Meg is starting to turn into a strong young woman and like it or not, very much like her mother. In book 3, Meg is kidnapped by terrorists on her way out of school. She spends a terrifying two weeks held captive by a sadistic man before she is able to make a courageous escape from what could have been a hopeless situation. After her rescue, she discounts her own courageousness, and her recovery is a difficult one for her and her family. Meg, as always, keeps things locked inside, although fortunately with her best friend Beth she can let down her guard somewhat. Guilt, anger, and fear permeate the entire First Family as they try to regain some footing after this horrendous event. Meg may look like the typical freshman at Williams college, even with her crushed hand in a splint and her leg in a brace, but she’s far from. The daughter of the President of the United States, Meg was recently kidnapped and held hostage. The President stuck to the US line of not negotiating with terrorists. Meg escaped on her own and now has to deal with her shattered bones and family. Her parents’ marriage is on the rocks, her brothers are changed, and in an attempt to free them of her presence, decides to go away to college. But there she faces the typical freshman homesickness and the atypical horror of being afraid for her life and those of her dormmates, even with the constant Secret Service protection. Add a boy to the mix, and Meg’s life is definitely out of control. I’m so happy I get to revisit Meg Powers and her story again very soon! I highly highly recommend these books to anyone who loves great story-telling with action and adventure and a strong female character (or two)! I hope you’ll give her a try! Let me know if you do! Thank you to Cinda Williams Chima for allowing me to interview her on Tuesday! And thank you to all of you who stopped by! 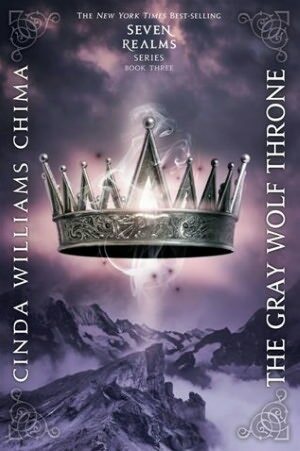 As you know, I held a drawing for a copy of Cinda’s newest novel, The Gray Wolf Throne. And as you know, my rat terrier, Trixie, often assists me in drawing a winning name. 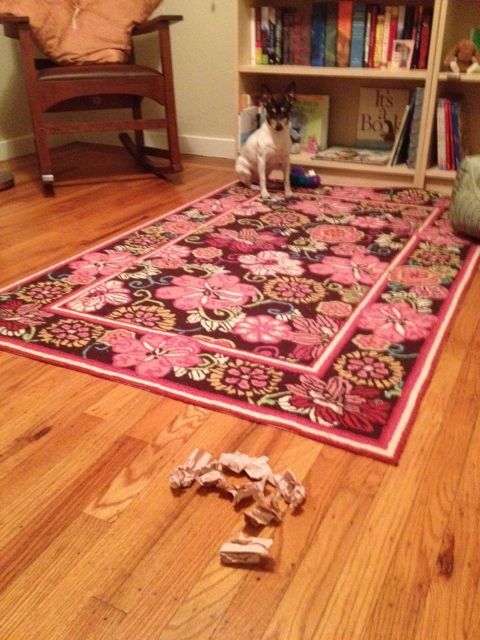 Here she is, waiting to choose the winner from the pile of crumpled paper. 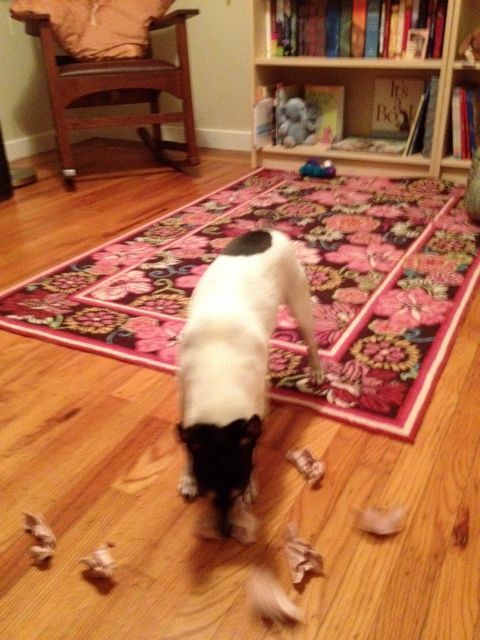 By the way, she just loves crumpled paper! She’s a great help on Christmas and birthdays, gathering up used wrapping paper. 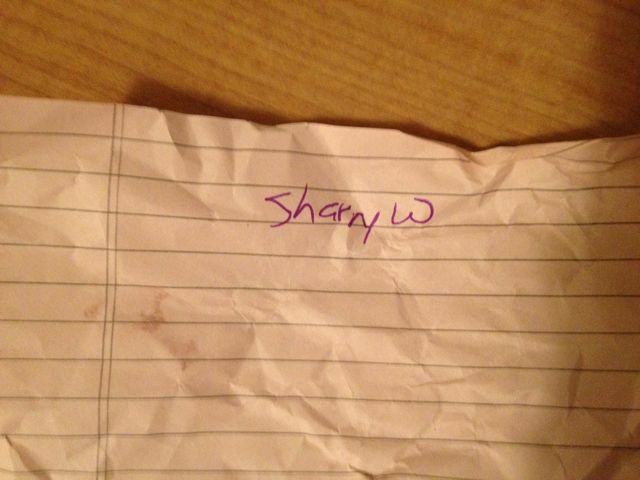 Sharry W!!!! WooHOO! Come on down! I’ll be contacting you for your mailing address so I can send you your book ASAP! I’m excited and I hope you will enjoy this series as much as I do! For the rest of you, thanks for entering, and I hope you’ll come back again for my next drawing! Welcome to the Spotlight – Cinda Williams Chima! I’m happy to start off the new year with a fabulous spotlight interview with Cinda Williams Chima! I’ve long been a fan of her incredible YA fantasy novels, starting with The Warrior Heir (from the Heir series) and most recently The Gray Wolf Throne from her newest series, Seven Realms. I am so hooked! If you want to get completely lost in other worlds with characters you have to love and hate, then you definitely want to pick up her books! Keep reading to find out how you can enter a drawing to win a copy of this book! In book 3 of “A Seven Realms Novel,” the princess heir Raisa having escaped her kidnappers, finds herself on her own trying to return home to The Fells without being killed. When she is ambushed and on the brink of dying, Han Allister (someone she’s had a history with) who happens to be crossing the pass at the same time, rescues her. He nearly dies trying to use his magic to save her – and both survive after he gets her safely to camp. During recovery, Han learns that the girl he though was “just another wealthy spoiled girl” (and someone he’s come to care about) is actually the Princess Heir and he feels betrayed. Not only because she lied to him, but because it’s long been forbidden for royalty to marry wizards. 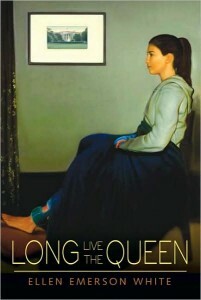 There are further attempts on Raisa’s life as she prepares to take the throne in the wake of her mother’s death (possibly murder). With Han and her childhood best friend Amon, by her side Raisa’s story continues to unfold along with new mysteries. It’s challenging to summarize this novel with justice because the story is so intricate (and fascinating) and this being book 3, I don’t want to give away too much. I highly recommend this series! There will be a book four (thank goodness)! It’s such a fabulous story – with characters I love and intrigue that keeps me mesmerized. Watching a young, strong, and caring queen come to power is fascinating! What was the initial spark behind the Seven Realms series? The Seven Realms series takes place in a world that I created for an adult high fantasy series that I began years ago but never finished. That series was called The Star-Marked Warder, and I was greatly influenced by George R.R. Martin’s Song of Ice and Fire series. I loved that it was a sprawling high fantasy series that focused on people more than splashy magic. And all of the characters were complex, three-dimensional, and flawed, the protagonists and the antagonists. When I decided to write high fantasy for teens, I realized that I had a world I loved, a magical system, and characters that I enjoyed spending time with. So I took some of them back to when they were teenagers–and that was the start of it all. I’m am awed by your ability to build worlds that feel so complete, so real that I’m disappointed when I stop reading and realize the places don’t truly exist. How do you so successfully build worlds for your series? What are the challenges? I usually engage in just-in-time worldbuilding, e.g. I create as I go along and then kind of clean up afterward. When I began to write the Seven Realms series, I’d already spent considerable time in that world, and it was totally real to me. I remember my editor said, I can’t believe how textured this world is, and I said, well, yeah, I’ve already written 500,000 words in this world. I think it’s important to remember that a world is more than a landscape and a magical system. For example, consider: How would people make a living in a mountainous region? Probably not by farming. Maybe mining or trading or crafts. Who has power in your world? What kinds of social/cultural/racial/religious differences might drive conflict in your story? Don’t miss opportunities to build conflict into setting. The challenge in fantasy world-building is delivering information on a need-to-know basis. The reader will never need to know everything the writer knows about that world. TMI is one of the reasons many people liken reading fantasy to hacking through a thicket. I’m in love with both Han Allister and Amon Byrne from the series (so I can relate to the Princess Heir’s feelings). Han has a special amulet that gives him a lot of power as a wizard. What items do you draw your power (as a Writer) from? Do you have good luck pieces that help you write? Not really! I think I need me some! I do love beautiful stones like turquoise and opal and tanzanite and agate–maybe I have a little dragon in me! And this is going to sound nerdy, but I love my computer. I’m a slow and painful hand-writer, and it’s ugly no matter what. I’m a very fast and accurate keyboarder, through, and I can finally keep up with the ideas flowing through my mind. It gives me the freedom to take chances, switch things around, and tell the editor in my head to shut up! For more about Cinda, check out her site, read her blog, or follow her on Twitter! Win a copy of Cinda’s book! The winner will receive The Gray Wolf Throne. While this is the third book in the series, both books 1 and 2 (The Demon King and The Exiled Queen) are available so it would be easy to get started, especially if you already own book 3! Please read the rules to enter carefully, because I made some small changes (due to my inability to contact the winner of the previous contest). 1. Comment on this post by Wednesday, January 11, midnight EST (9 PM PST) to get your name entered in a drawing. If you are reading this via a feed, click here to post a comment. 2. Leave your name and an email address so I can notify you if you win. 3. You must have a US mailing address. The reason for this is that I use my own funds to pay for both the book and shipping. 4. The winner will be announced on this blog on Thursday, January 12. Happy New Year! Happy Reading Year! Happy New Year! I hope you all had a fabulous holiday break full of family, fun, food, and….books! (Okay, so I lost the alliteration there.) I promise to share great books and interviews with you all year long – and I hope you will share your favorite reads with me, here, too! Before I officially start 2012’s posts, I want to share my 2011 reads. I didn’t read nearly as many books as I’d hoped to, but at least what I read was outstanding and entertaining! Below you’ll find my reading list (which is usually posted all year long on the right sidebar – where you’ll now find my 2012 reading list in progress). Unless otherwise stated, these books are middle grade and young adult fiction. I did read nonfiction, too, but kept those on a separate list. Not sure why. I look forward to talking books with all of you!